As we enter February we welcome the retired Canadians and Americans back to Puerto Vallarta. 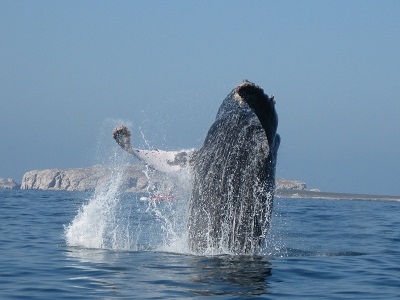 In fact we call Puerto Vallarta ¨Puerto Viagra¨ come this time of the year with all the white haired visitors. But that doesn´t mean PV is an old folk’s home, just the opposite. This year we´re seeing a bit of a dip in tourism, but the up side is empty fishing grounds. 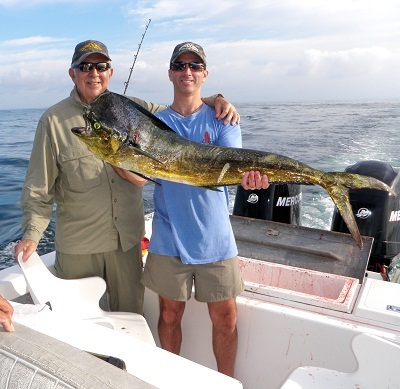 That´s right folks, you can almost have the whole bay to yourself and there still, strangely enough, summer species like Dorado to 50lbs, Sailfish, even Striped Marlin can be had in this freak fishing season. Whales are also in the bay, but mostly at the Marietta Islands this season. If you want to experience something special make sure you find your way on the water. They tell me seing a Whale Tale is good luck, all I know is it´s a spectacular sight and it just makes you feel good about nature. The bay is alive as is Puerto Vallarta, make sure you take some time to make a few new memories!